Maryland musician Maggie Rogers achieved overnight fame when her track 'Alaska' was given a firm stamp of approval by Pharrell Williams during a masterclass at New York University, which you can view (around the 20 min mark) below. She's continued the good work since then, with the spacebar-fearing 'Fallingwater' evoking much of the sense of naturalistic wonder so impeccably delivered to the ears of Pharrell and beyond in 2016. 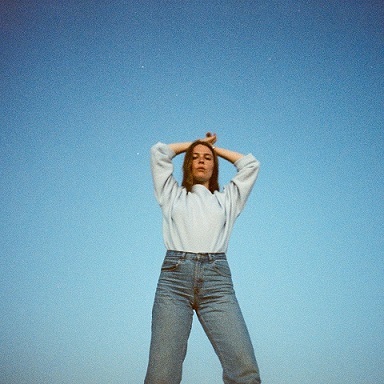 There's something of a Florence And The Machine feel to the opening of 'Fallingwater', driven by Rogers' imposing vocals juxtaposed with simple piano chords, before shades of HAIM appear as the song's layers start to envelop the listener. These layers then dissipate in a striking tempo change, built up once again in a unique, arresting fashion - facets captured aptly in the video directed by Zia Anger, responsible for some of Rogers' earlier videos as well as teaming up with other incredible female talents such as Zola Jesus and Mitski. Little surprise too that the ever-brilliant Rostam Batmanglij is one of the people behind 'Fallingwater', producing and co-writing the track alongside Rogers. Much like strawberries and cream, a fruitful combo. Find more info at maggierogers.com.